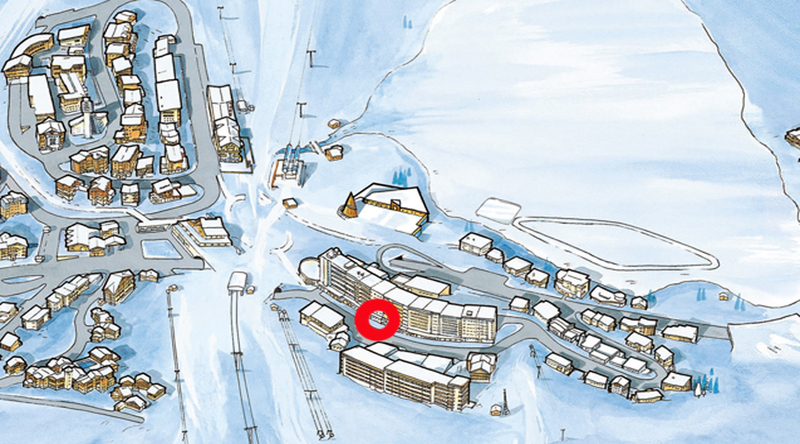 A friendly Tignes Le Lac! This diversity allows everyone to fill his desires of the moment. What a pleasure to linger on the terrace of Café Bagus for a lunch break! Lunchtime, young skier or skier menu are featured. Our dishes and pizzas are made at home with fresh ingredients. Our favorite for 2: the gallows soaring on table, 600 grams of heart rump steak flambéed in Calvados, served with potatoes and mushrooms, accompanied by his béarnaise sauce, spectacular effect guaranteed ! No less generous, the wine list full of surprises for amateurs. 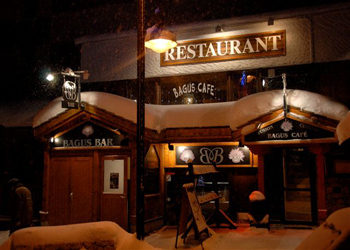 Bagus Cafe at the peculiarity and the advantage of having two access. One side of the street from the station, the other side of the mall Palafour. - You can take away pizzas and dishes. - Free home delivery of a "great part of the map"
- Via the Palafour tourist galerie. - Via the Rue de la Poste, next to the Maeva apartment building. - Open every day - Winter - summer. 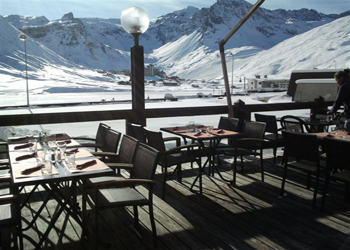 - South facing terrace with views of the lake and the Grande Motte.